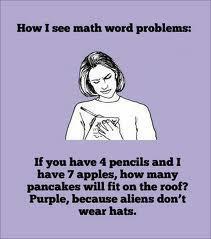 Is this how you see math? to help you understand math. Calculation Nation - play games and challenge opponents from anywhere in the world. Sponsored by the National Council of Teachers of Mathematics. It's Free! Day of the Week - What day of the week were you born on? Good Study Strategies to help deal with Math Anxiety - This article provides some background on Math Anxiety and offers some very helpful study strategies that are useful for math students in middle school, high school, and college.